If you are looking for garage doors that will add to the aesthetic appearance of your home or business, consider replacing your existing garage doors with doors that include garage door windows. With more garages being built facing the street, curb appeal is important and can be greatly affected by your selection of garage doors and garage door windows. There are many different possible materials for garage doors. The designs and possibilities for garage doors and garage door windows are extensive. Whatever the architectural style and period of your building, you can find the garage door that will match and complement your existing components. 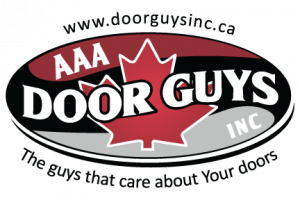 Why should you consider garage door windows for your new doors? Natural light: If you use your garage for living space or working space, you will appreciate the natural light that garage door windows let into your space. Not only will you save on your utility bills, but you will be able to better enjoy your space. Better reflect the architecture: The windows in your garage doors can mimic and complement the rest of your home or business. 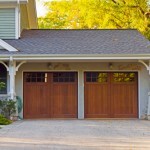 Curb appeal: Increase the value of your home with the right garage doors. If you anticipate selling your property any time soon, new garage doors can be a great investment. If you are interested in garage door windows, but are concerned about security or privacy, there are options for security and non-transparent glass that increase privacy. This may especially be important if you plan on using your garage as an extension of your living or working space.